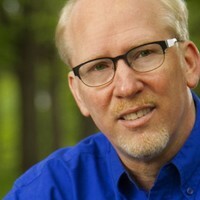 SPEAKER BACKGROUND: Rick Busch, Founder/President of BizStory, helps businesses, entrepreneurs and inventors create High-Impact Product/Company/Presentation videos that Show/Tell the audience what they need to know. The Compelling WHY/WHAT/HOW your Consumers, Buyers, Bankers and Investors need to buy or invest. Rick has nearly 30 years photo experience, with the past 10 years focusing on HD Video for companies, inventors and entrepreneurs.